Alan Titchmarsh’s former family home and garden, the location for Gardeners’ World for seven years, is for sale. Barleywood, at Alton in Hampshire, is on the market for £925,000. 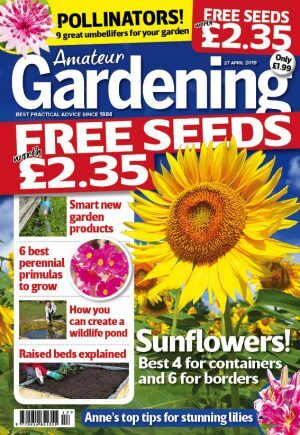 From 1996 to 2002, the 1.2 acre (0.5ha) plot was the most recognisable garden in the UK. Four million viewers tuned in on Friday nights to watch Alan tend Barleywood with Chris Beardshaw, Rachel de Thame and Joe Swift. 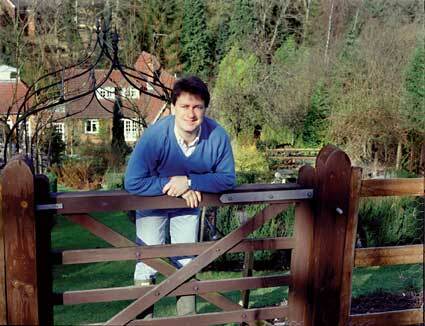 Alan quit Gardeners’ World in 2002 and moved to a Georgian farmhouse nearby. Barleywood’s steeply-sloping rectangular plot is divided into themed areas, including a wildflower meadow, tropical border, Mediterranean garden, kitchen garden and a tree fern grove. Alan’s large greenhouse, custom-built to accommodate a camera crew, is currently empty but in good order. Current owners, air traffic controllers Kevin and Jane Gothard, bought Barleywood in 2005. They said the garden remains the same as it did in Alan’s day. An iconic feature is the Far Pavilion, the hut where Alan penned many of his novels. It is surrounded by seaside-style planting. The colour of the hut became known as Barleywood Blue and was frequently used by Alan on Ground Force. Alan left his mark on the house, too. A keen actor, he had an extension built for a 60-seat theatre with stage and dressing room. Although it has now been turned into a sitting room, the dressing room remains. Walls are fitted with lighted mirrors, and black-and-white photos reveal some of the actors who performed. One is signed by playwright Alan Bennett and another by Keeping Up Appearances actress Patricia Routledge.